Prime Time Radio is a one-hour weekly interview program with people who fascinate older adults in America. The program also features Movies for Grownups and Prime Time Postscript. 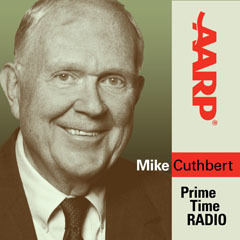 Prime Time Radio consists of two discussion style interviews covering a wide range of topics hosted by veteran public radio broadcaster, Mike Cuthbert. The American Dream: In Crisis?